Sorry, Mini Volt 40W Kit by Council of Vapor has been discontinued. 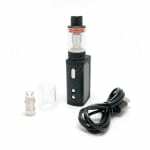 The Mini Volt Kit is perfect for portability as it can sit in the palm of your hands. 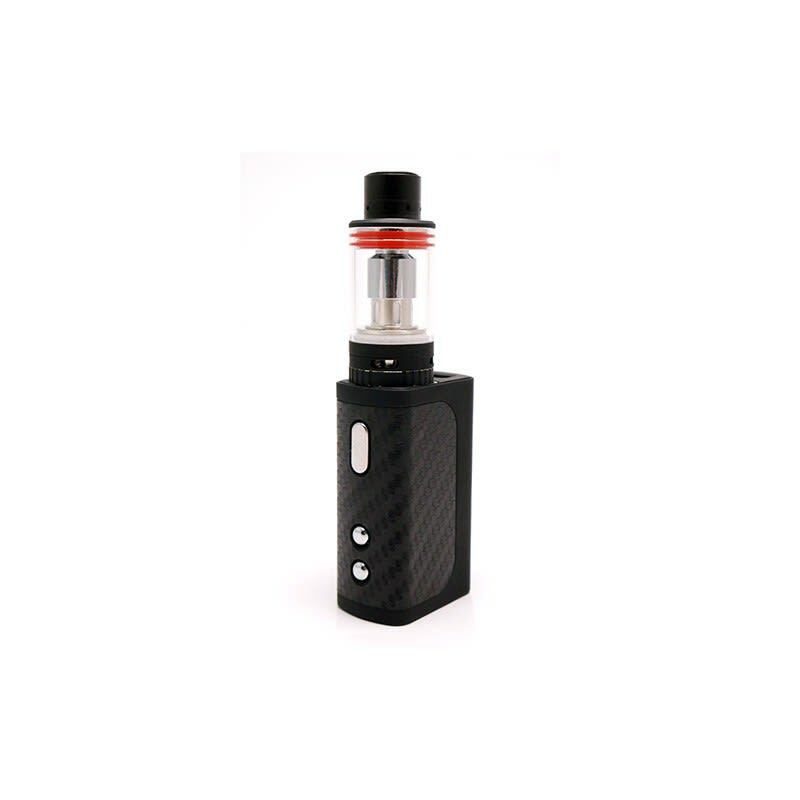 It features a 40W box mod with a rechargeable 1300mAh built-in battery. 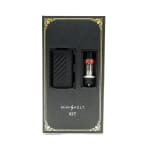 The Mini Volt Kit is not available anymore, but you can purchase separately the Mini Volt Mod Only and the Vengeance Sub-Ohm Tank, for a lower total price! The Mini Volt Kit is perfect for portability as it can sit in the palm of your hands. It features a 40W box mod with a rechargeable 1300mAh built-in battery and an 0.8ohm coil. The Mini Volt Kit is also equipped with a real carbon fiber grip and a rubberized paint coat making it both sleek and durable. It boasts a very friendly user experience as it comes with 3 different ramp modes (soft, standard and power) that control how fast vapor builds up when you inhale. 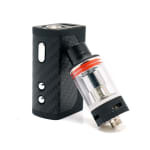 The 2mL tank uses a top-fill method as well as having a variable airflow, widebore drip tip with spit-back protection. Small but does the job! I just picked up the mini volt kit, and I am so in love with it! The actual size of my device was my biggest concern. I didn't want anything too big. The mini volt is so small, fits in my purse great, and still gives me the hit I need. I don't even know how something so small could be 40 watts. I just wish the battery life was a little longer, but I guess that's the sacrifice I made for a device that fits in the palm of my hand. The carbon fiber finish also makes my device look great! I've had a lot of devices (this is my 8th) but now this has become my main travel one! This little thing packs a punch for such a small device, and fits in my pocket too! Love using it, lots of good flavour and a nice cloud of vapor plus the battery life is decent for the size. The 3 vaping modes make for a customizable vaping experience for all vapers! I have to say, I really didn't expect this device to vape the way it does. The 0.8 coil gives you a great amount of vapor, comparable to the Subtanks yet a little fuller and with more flavour somehow. The device does cut off hits when the battery is low but that is to be expected with the small battery. Happy with this purchase, this will definitely be a going out set up.